This new release form the project of Marco Marzuoli and Alessandro Sergente is a single track release introduced by the Jules Verne's words about the see as "the Living Infinite". As their previous releases, also this one is based upon drones and it's focused on a meditative idea of sound. After some seconds of silence, instead of the expected drone, the ebb and flow of the sea introduce the listener into a contemplative setting as even some bird could be heard at a distance. 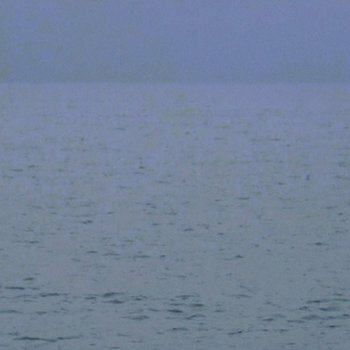 Approximately at 5:00 mark, a drone quietly starts an begin to try to blend to the sound of the water and at 10:00 mark a second drone stats and instead of bury the underneath element it seems to underline them until the third one takes the listen towards the full listening experience overwhelming the listener. As the underlining field recording is always audible it sounds as the juxtaposition of a place and the emotions triggered by it as if the drone would act as a voice off. As the track begins his ending the drones quietly stops and the listener is left with the sound of the sea. If, after reading this release, the reader could think that this release is developed around nothing, he should be aware that sometimes less is more as pure contemplation could only be done while seeing the details and forget the rest. Essential.